If you have an investment property, especially a house, that you would like to list under rentals housing in the paper, and start getting pay back for all the hard work you have put into your property, here are a few words of advice. When renovating or updating any house for the housing market, you need to make sure everything works. I know this may sound odd, but this could save you those middle of the night calls, or a panicked tenant trying to use the kitchen or the bathroom or whatever on their first day. If you have done substantial renovations to your property or any rentals you have, they may look just great, just like a magazine or show house, all new, but does the shower really work well? Does that new stove work well? Does the sink leak at all? One great way to make sure everything in a newly renovated property that you are wanting to attract good tenants to works well, is to live in it for a couple of days or the weekend. If you don't want to live in it personally get a family member to live in there. This could save you hundreds or thousands. We have a property that we gutted, it was a semi detached from the 70's, and the inside was still the same. We replaced the kitchen the bathroom, floor coverings you name it. Everything looked great, we had the plumbing checked the wiring checked. Found a great tenant, who found us under rentals with a picture and loved the area, so she was excited to rent our house. We did up the paperwork, but I just needed to make sure things were OK. I got my son to stay in there for a day a week before she moved in. Use the shower, use the kitchen. It was then that we discovered a problem with the shower head after it was on for 5 minutes, so we fixed that. We then discovered a problem with the brand new stove, that we had basically just plugged in and quickly checked, the oven was not working, they had to deal with that. Filled the kitchen sink with water, to discover a drip under the drain that the plumber had to come back and fix. 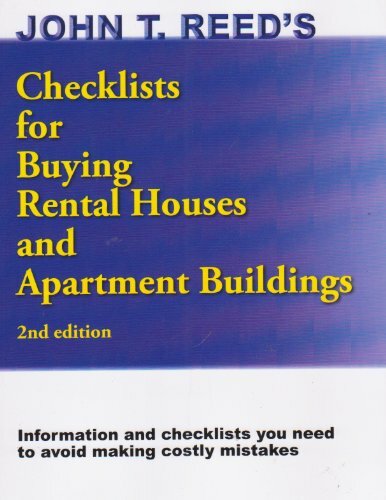 The quick test you may do while updating your rentals housing units, may not be enough to really show up any problems. Living there will. Running the tap quickly in the kitchen did not show up this drip, only after filling the sink did it show. So before you place your property under rentals/housing in the paper or on the internet, go through the house, pretend you are living there, make sure everything is working. If you are trying to get the high end of the scale for rent, then you do not want upset tenants on their first day in there. You don't want that call that says the stove is not working, the shower head stopped working. It was also during this time that we had forgotten about the outside tap, as we renovated during the winter. So, we fixed that. But no matter how good a job you do at renovating or decorating, new things can break, through no fault of your own. You could install a brand new dishwasher, only to have it not work. Warranty replaces it, but do you want that headache the first few nights the new tenants are moving in with all their boxes and furniture? So give your space a good workout before you let a good tenant in, and ruin their day! This is their home, they are paying you top dollar for, so make sure everything works well. Investment properties are good for future income, but before you list your rental house, make sure you live in it for a day or two. You will always notice something not right, this way your good tenant gets a great space to live, and you get a good nights sleep.